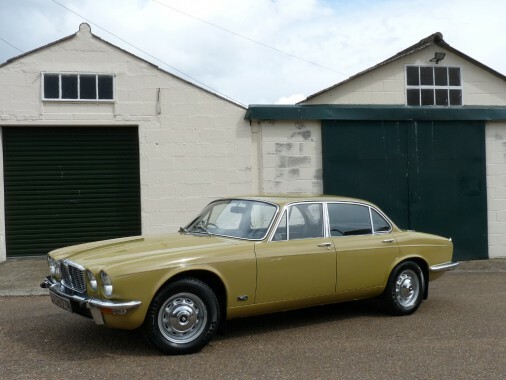 With its very low mileage of just 24,000 since new, backed with a fully stamped Passport to Service service book, this immaculate XJ6 is one of the nicest we've driven. It is smooth and free of clunks and bumps. It is fitted with a 3.4 litre, six cylinder engine with a three speed automatic gearbox and power steering. The original leather interior and trim are superb and even the carpets, a problem on Jaguars, are in very good condition. It has handraulic windows (!) and seat belts to the front and its original radio. The stamped service history back goes back to new and there are MOTs in the file back to 1988. There have been only four owners since new, the last for nineteen years, and the original brochure and SuperCover details are in the file.